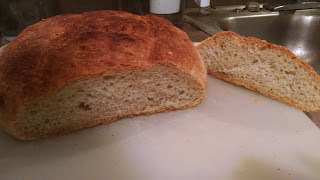 I have finally figured out how to make a thick, rich crust on a loaf of bread. The devil, as usual, is in the details. Many recipes talk about putting a few ice cubes into the oven at the start of baking. I find that isn't enough. Instead, I put a pan of water into the oven when I turn it on. 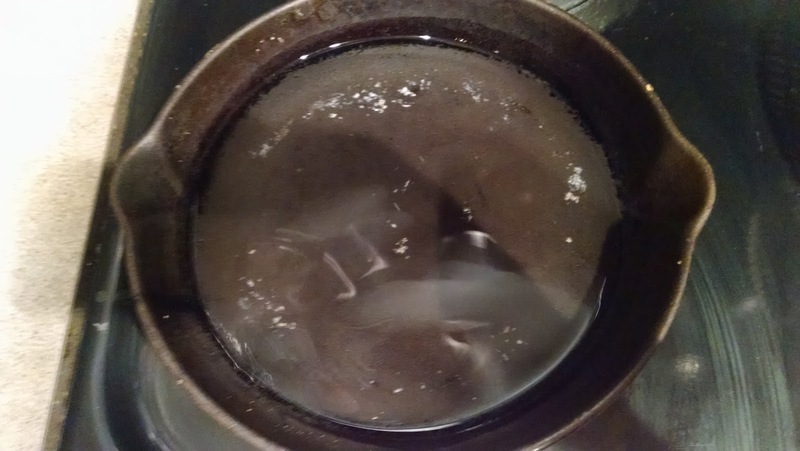 This pan, which is made of cast iron, was close to full when I started and ended up about half full. 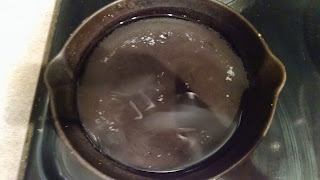 The greater amount of water allows the steam to maintain itself. I cook my rustic breads in my cast iron dutch oven. 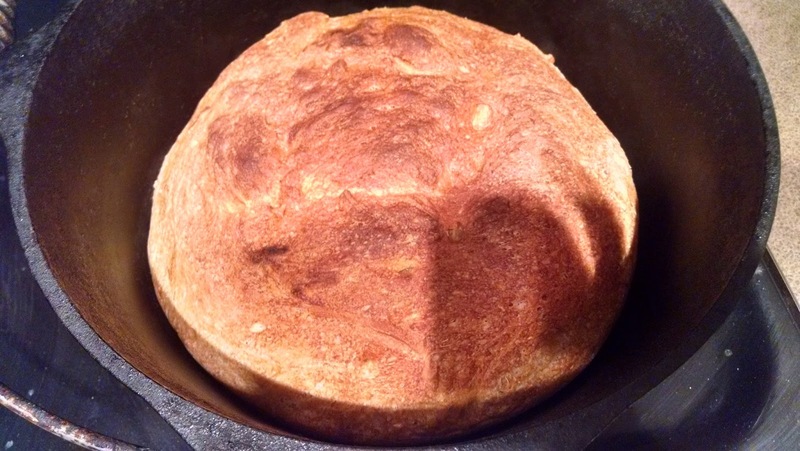 The shape of the pan helps to maintain the shape of the bread. The sides also radiate some heat back. The result is this thick, tasty crust. The combination of the thick crust and spongy crumb makes for great French toast, by the way.